Though there are plenty of high-definition television sets already available on the market, that fact has done nothing to stop the rather persistent rumor of Apple entering the space with television of its own. 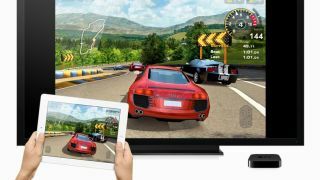 So-called Apple iTVs have been rumored for quite some time, though Apple itself has been far from forthcoming with any actual details about such a device, let alone stating one is in development. Most recently, reports that some iTVs were being tested at the Foxconn manufacturing facility made the rounds, adding that there were three different mid-size options (32-, 46-, 55-inches) in the works. Perhaps then the newest rumor that Apple has supposedly hired a former LG and Samsung TV guru can provide better insight into just what lies ahead for the purported iTV. According to a report from the OLED Association, Apple has just hired Jueng-Jil "James" Lee to oversee development of OLED displays for the company. Lee was formerly a senior member of LG's research and development team working to create a printed AMOLED television, and helped create polymer solution-based OLED material for Cambridge Display Technology. If the rumor is true, then Apple picked itself up an expert in the field and someone who could certainly make iTV a reality. However, it should be noted Apple may just as easily want Lee's knowledge to further develop the phone and tablets it produces, rather than expanding into the HDTV arena. For its part, Apple hasn't actually announced or confirmed the hiring, though his appointment would certainly make sense from a business standpoint. Just how and where Apple's foray into the OLED market will take place remains to be seen, but with competitors such as LG and Samsung pushing the technology, it seems it was only a matter of time until Apple decided to what the fuss was all about.